Breakfast and light refreshments are provided, but lunch will not be served. SUSTAINING MEMBERS ALWAYS RECEIVE 50% OFF! REGISTER EARLY AND SAVE! Take $20 off if you register by 4/14/19! Heart rate variability biofeedback (HRVB) is a powerful treatment modality that trains self-regulation and resilience. HRVB has been shown to be effective at alleviating numerous psychophysiological conditions, such as chronic pain, anxiety, depression, hypertension, gastrointestinal disorders, and trauma. When combined with psychotherapy, heart rate variability biofeedback offers a way to work with challenging conditions for which other interventions have been unsuccessful. In this workshop, we will discuss the concept of heart rate variability, research demonstrating its effectiveness in treating psychophysiological conditions, and practical skills in utilizing heart rate variability biofeedback in psychotherapy practice. Participants will have an opportunity to observe and/or experience hands on heart rate variability biofeedback skills using state-of-the-art biofeedback equipment. Easily accessible and affordable HRV biofeedback devices will be introduced/discussed. 6. Begin applying heart rate variability skills in your own psychotherapy practice. Inna Khazan, PhD, BCB is a faculty member at Harvard Medical School, where she teaches and supervises trainees. A clinical psychologist specializing in health psychology and performance excellence training using biofeedback and mindfulness-based approaches, Dr. Khazan also maintains a private practice in Boston, working with clients on optimizing their health and performance. She is recognized as a pioneer in the area of mindfulness-based biofeedback. Dr. Khazan is a popular speaker at national and international conferences on the topics of biofeedback and mindfulness. She has conducted biofeedback and mindfulness trainings for notable institutions in the US and abroad, including the US Navy Special Warfare, US Army Special Forces, and the Stuttgart Opera and Ballet Company. Dr. Khazan is a member of the board of directors for Institute for Meditation and Psychotherapy (IMP), Association for Applied Psychophysiology and Biofeedback (AAPB), and Biofeedback Certification International Alliance (BCIA), where she is currently chair elect. Dr. Khazan is the author of numerous journal articles and the highly-regarded Clinical Handbook of Biofeedback: A Step-by-Step Guide to Training and Practice with Mindfulness. She is currently working on a new book titled Biofeedback and Mindfulness in Everyday Life: Practical Solutions for Improving Your Health and Performance. It will be released by W. W. Norton on July 30, 2019. This program is sponsored by the Massachusetts Psychological Association. 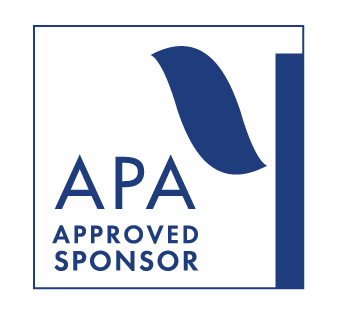 MPA is approved by the American Psychological Association to sponsor continuing education for psychologists. MPA maintains responsibility for this program and its content. Please note that this event must be attended in its entirety in order to receive credit. Partial credit will not be granted, no exceptions. Cancellation and Refund Policy: Fee minus $30 administrative charge if cancelled 5 or more business days prior to event. No refund if cancelled less than 5 business days before event. though credit is only available to psychologists. Please contact MPA if you have any questions.